Thanks, Larry!! I'm excited! Just ordered my 89s today! How much did it drop the front? I bet you were so excited you forgot to take the measurements. DirtyBacon04 wrote: Thanks, Larry!! I'm excited! Just ordered my 89s today! I have 83/84, IIRC, and mine dropped 1/2" from completely stock to both skids and bumper. awesome bumper, that thing looks great. your absolutley right, larry. completley spaced it. It was noticeable from the driver seat, though. Thanks Chris! I'll get some better pics today. Looks great Mike and Michael. Welcome to the bumper club! JamesDowning wrote: Looks great Mike and Michael. Thanks, James! Other than the prototype on my TB, that's the first "new style" non-body-lift bumper to go out! What is this "new style"? You need a big spreadsheet of the different styles you have and can create! The new style is what I've been posting on mine for several months, and is what I'm making now. Question: using tube, no receiver, dual shackles, and a fairlead for winch cable, how light do you think you could make a steel bumper? Some form of brush guard would be wanted as well. The one made for me was more of a centerpiece with tube I added on...it wasn't more than 60 pounds I would think. I was able to pick it up and put it on by myself. Has dual shackle mounts, fair lead mount. I think the top plate is 1/4in steel and the rest is 3/16. 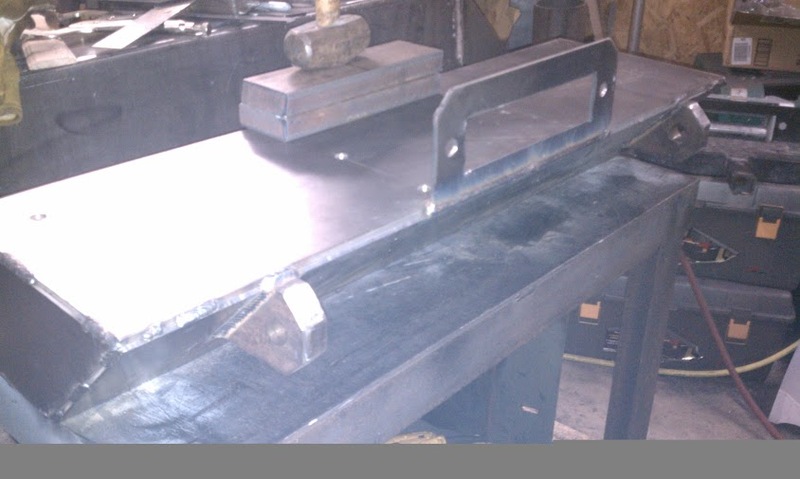 Philberto wrote: Question: using tube, no receiver, dual shackles, and a fairlead for winch cable, how light do you think you could make a steel bumper? Some form of brush guard would be wanted as well. 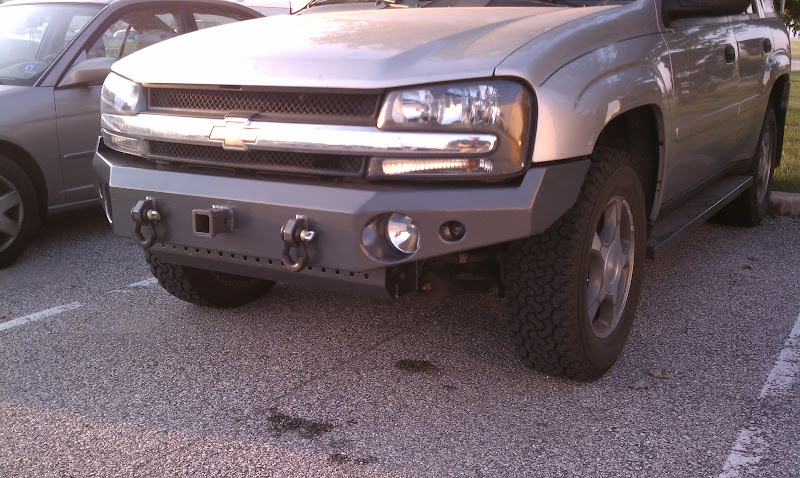 So you want a fairlead for winch cable, but the bumper does or does not need to mount a winch? The bumper does not need a winch mount. Winch is getting mounted in rear spare tire/ secret compartment area. The catch is, the fairlead needs to be accessible to a cable run from alongside/inside one of the frame rails. Hoping James will remember the thread I got this idea from. (hint: it's on ExPo). 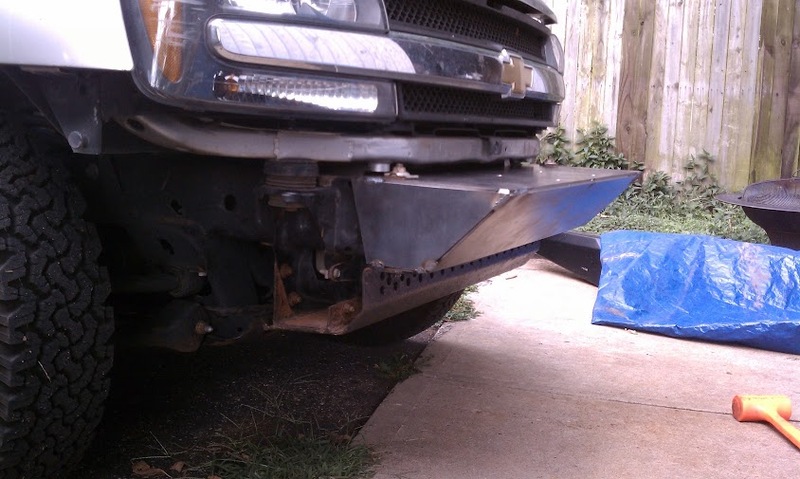 Philberto wrote: The bumper does not need a winch mount. Winch is getting mounted in rear spare tire/ secret compartment area. 100# I could certainly live with. I'll send ya a PM. Philberto wrote: 100# I could certainly live with. I'll send ya a PM.